Marine fabrication is the foundation of our business and was the original inspiration behind Prime Fabrication. Trevor Streech, as the son of a lifelong waterman and yacht designer, inherited a passion for boating. He has extensive knowledge and appreciation for this specialized field of work. 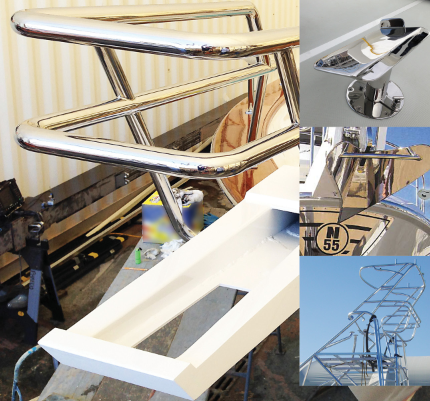 Trevor takes great pride in designing and crafting beautiful, high quality stainless marine fixtures. Rails, T-tops, towers, rod holders, transom name plates, and dingy chocks are just a few of the needs we have met for our boating clientele.